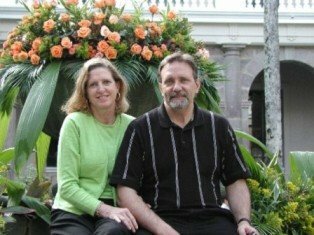 Interested in a Music and Markets Tour? We’d love to hear from you! 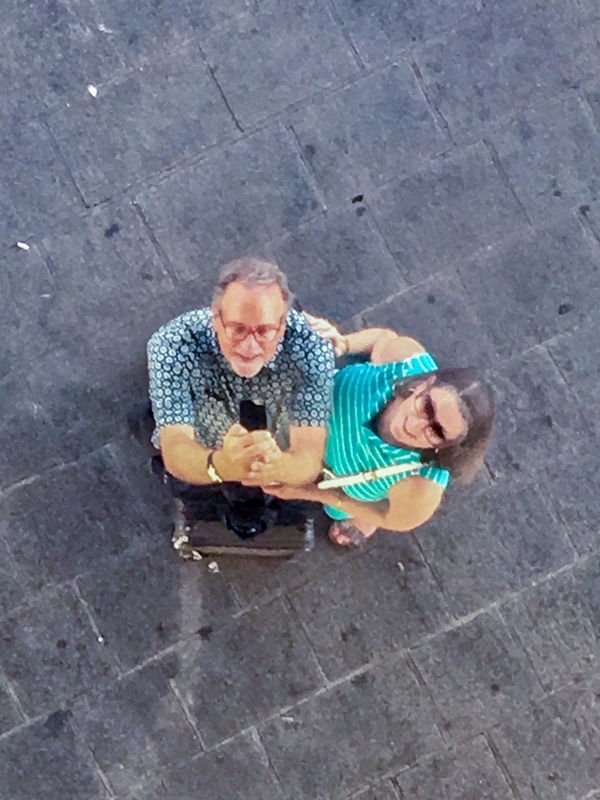 How about an unforgettable holiday with us at New Years’ Jazz in Italy? 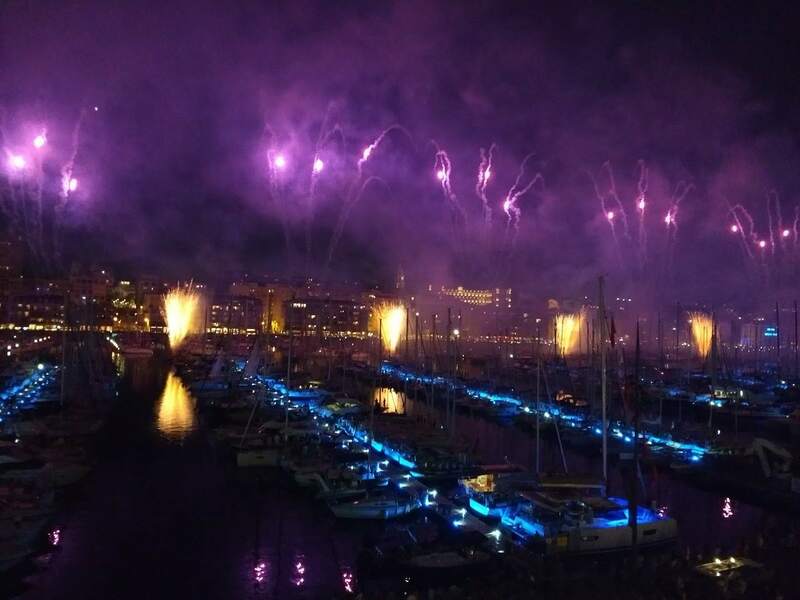 “Where can we see some great Bastille Day fireworks near Aix?” we asked our in-the-know French friends…and Marseille was the top reply – now we know why! In addition to festive fun (Kirk’s birthday happens to be the same day as France’s National Holiday, you may remember!) we were looking forward to an air conditioned respite from the oppressive heat, and a swimming pool thrown in for good measure! 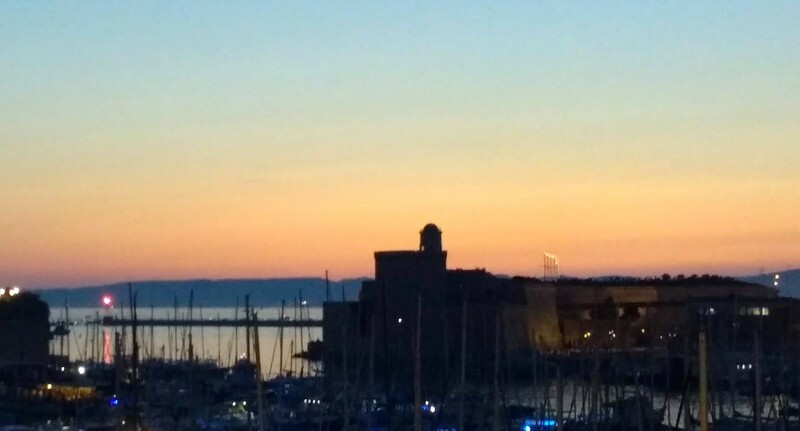 Right on the historic Vieux Port, the Radisson Blu was a perfect choice – with a fabulous view from our 4th floor windows! Although we were tempted to stay in the marvelously cool room (you don’t know how much you miss air conditioning until you live without it for a while! 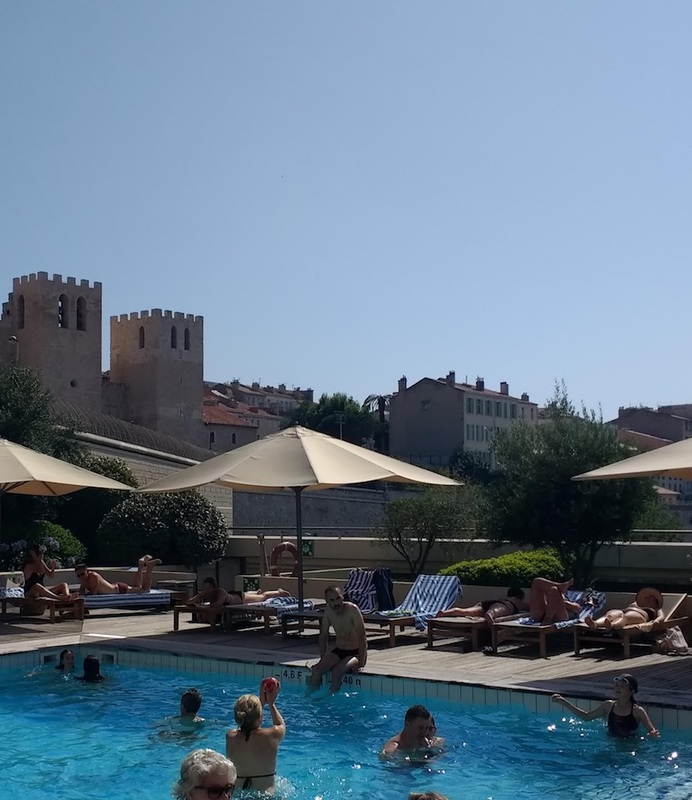 ), we decided to relax poolside instead – cooled with a refreshing dip and breezes as we basked in the sun, the 17th century Fort St. Nicolas looming beyond. 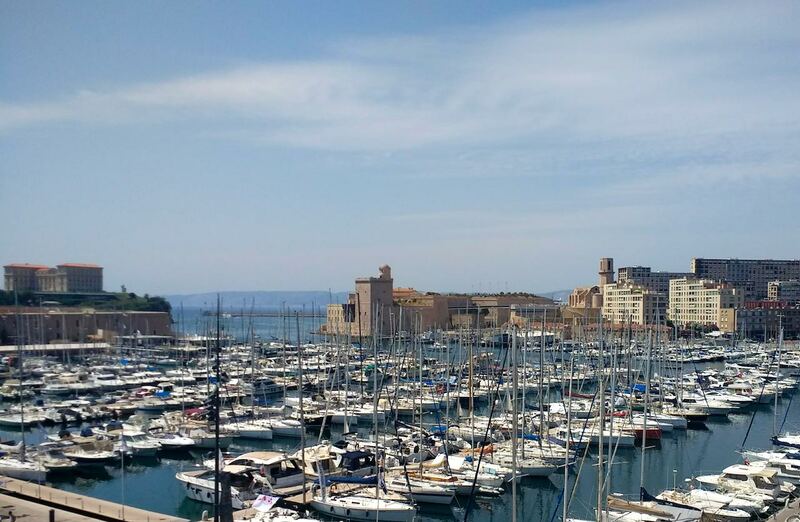 Since Marseille is such a big city, I always imagined it as hotter than Aix – but no, it’s seaside location tempers the heat nicely – it’s bearable to stroll around near the water, unlike on those 89 degree afternoons in Aix. 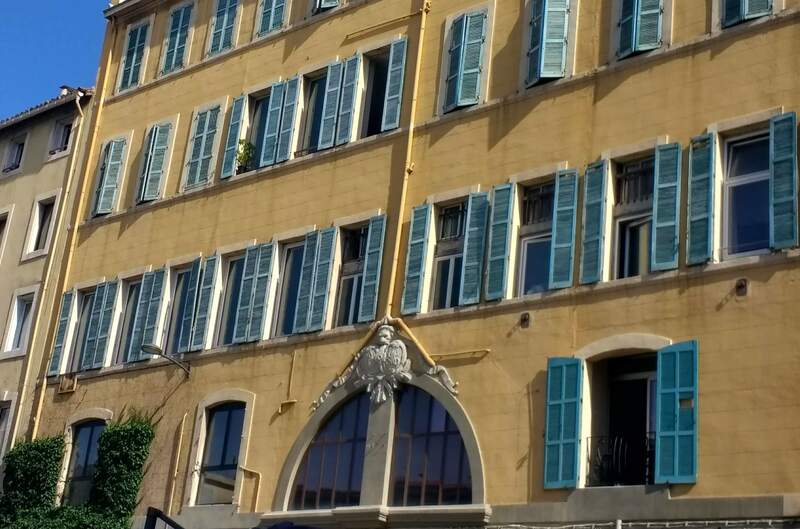 Enjoying the beautiful architecture as we seek out a restaurant for an early (for France, that is – around 8) dinner, we find many well-recommended spots right near the Vieux Port, and request an outdoor table at L’Oliveraie, on restaurant-lined Place aux Huiles. Jazz from the restaurant next-door entertains us as we relish a delicious dinner under the olive trees – we do recommend this place! and flare in unison with beautiful firework displays, while to our left, above Fort St. Nicolas, more fireworks fill the sky – what a show! Happy Birthday Kirk! 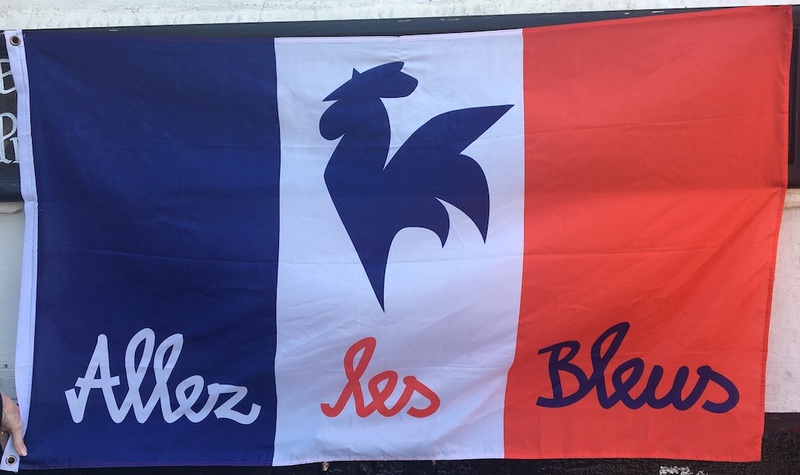 The celebrations continue on Sunday – France is in the World Cup! But the day starts quietly, with a walk around the port (check out the mermaids!) after the delicious buffet breakfast at the Radisson Blu. 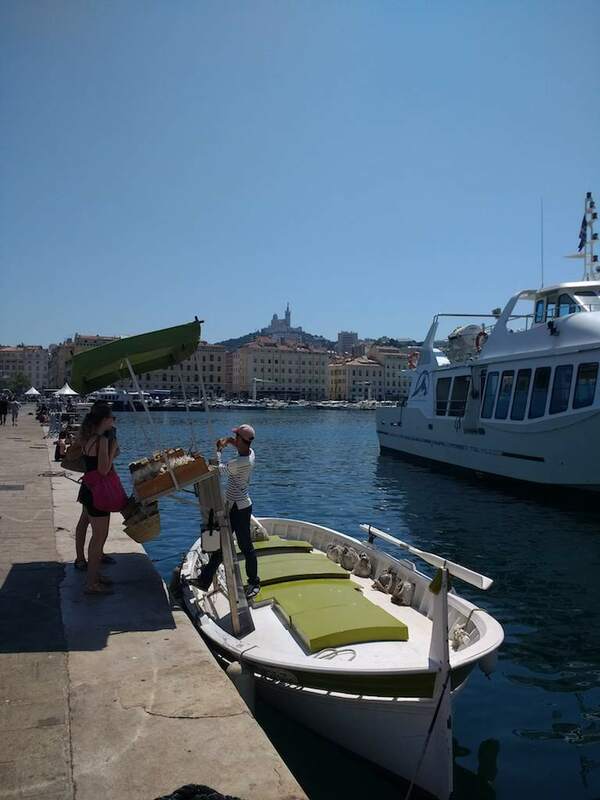 You’ve heard of Savon de Marseille, I’m sure – now available worldwide, and one of the most popular booths at any south of France market – well why not buy fragrant olive oil soap right here in Marseille, IN the Vieux Port? 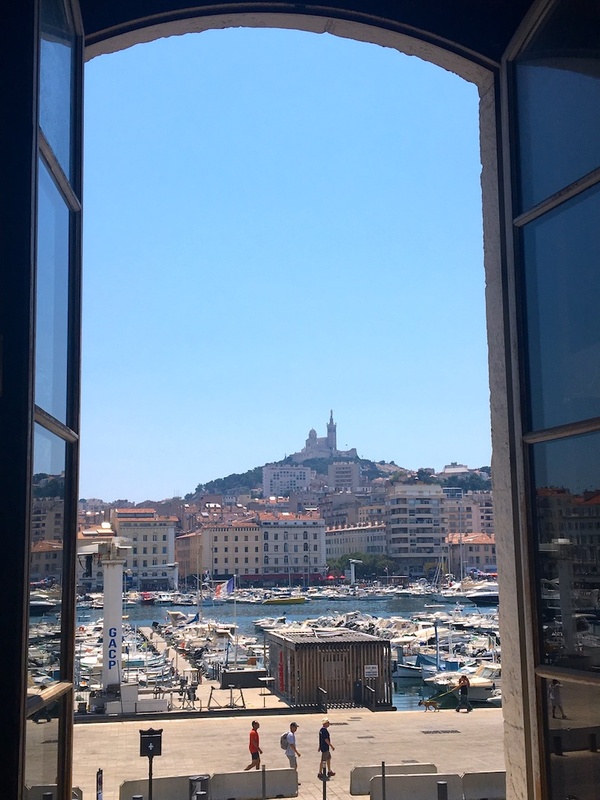 One more delicious Marseille meal – fresh seafood -with-a-view at Caravelle – thanks, Corey of French La Vie for the recommendation! 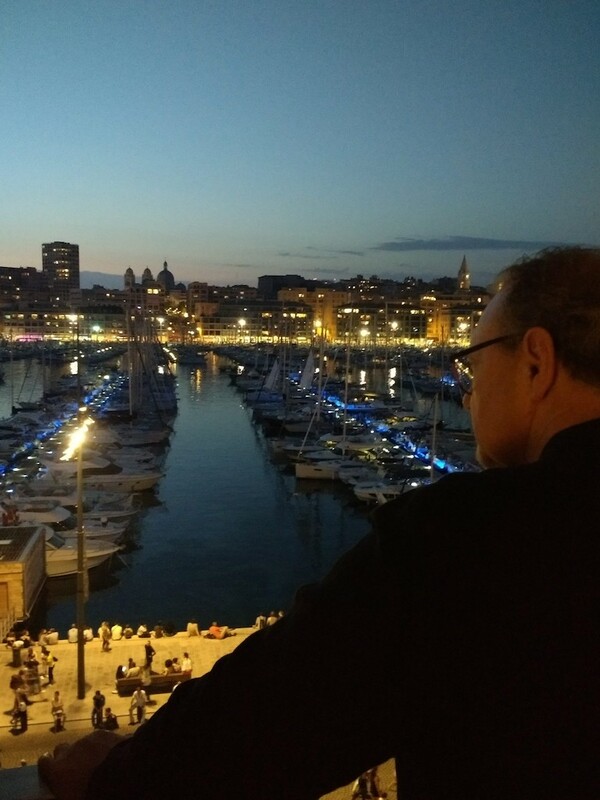 What fun this second-largest city of France, Marseille, has been – we’ll be back! 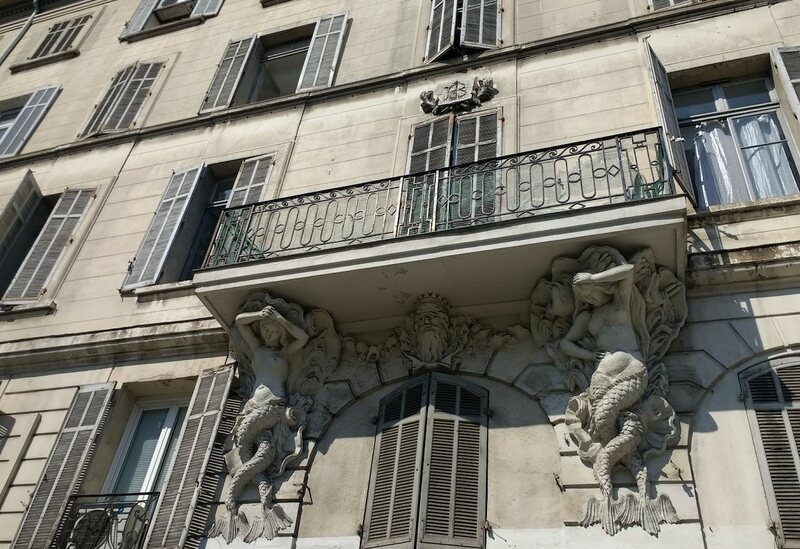 This entry was posted in France, France travel, Marseille, south of France by Anne Woodyard. Bookmark the permalink. I, too, enjoyed my visit to Marseilles. We happened to visit when the seaside merchants’ fair was going on and there were all kinds of fresh-made goodies to enjoy. That, and a delicious seaside lunch are among my top memories of France. What a wonderful experience! 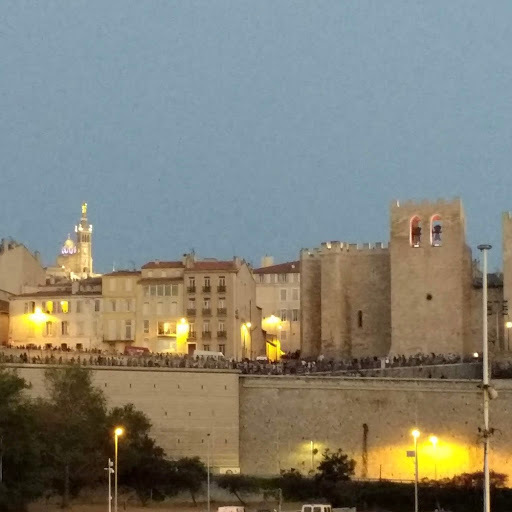 I haven’t been to Marseille but I remember being in Paris once on Bastille Day and it was quite amazing, with the crowds and the firework celebrations. You sure had front row seats! Seeing fireworks in Marseille would be amazing. 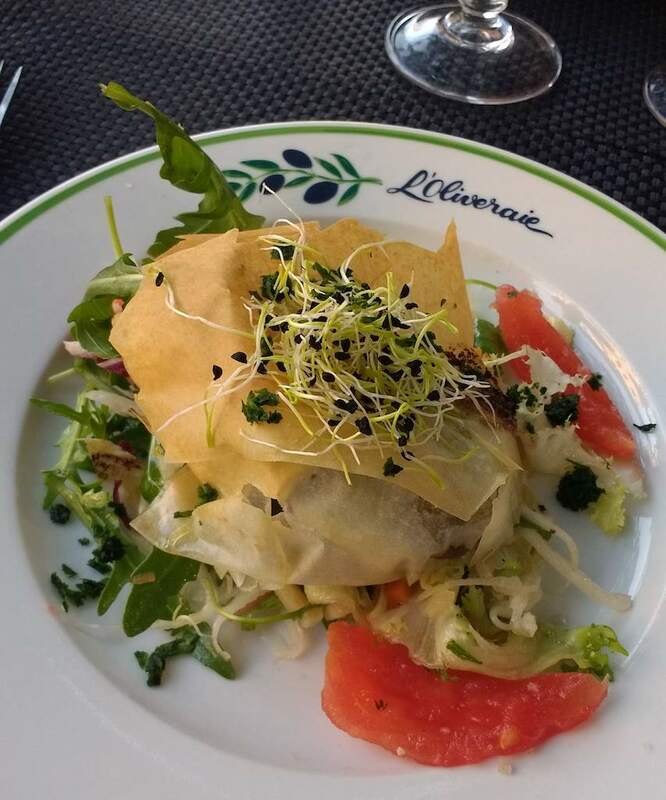 I was really impressed with that city and loved dining outside along the Place aux Huiles just as you did. I haven’t been to Marseille yet considering it’s only a short distance from the UK. Aiming to tour France one day and experience some freshly made meals !